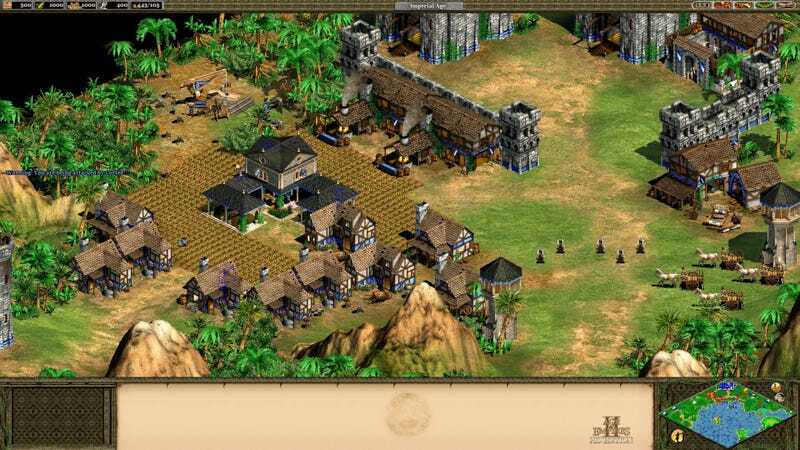 Wololo's and suicidal villager charges at the ready - it's another slow week, but that won't stop Tuesday Game Room! Still in my post-Bioshock Infinite 'I can't stop thinking about this game' phase (one that is unlikely to fade soon, if the 2200 words I wrote on the game's music on Sunday is anything to go by! Spoilers at that link, by the way), so it's been a relatively light week. I have been playing a bit of The Behemoth's delightfully irreverent platformer, Battleblock Theater, though. I've loved The Behemoth since Alien Hominid and the stellar Castle Crashers, and whilst I was doubtful of BBT's appeal, especially considering it's taken them yonks to put out, it's a lovely and fun platformer that's not Meat Boy-tight, but not float-y either. It's got a great look to it that looks gorgeous in HD and blown up on a big screen, the humour is well written, and Will Stamper's narration is fantastic, without being overbearing. Worth the 4 year wait? Probably not, but it's still a fun little game. Yes, I'm reusing this gif. So sue me! But man, if you guys thought last week was dry... well then consider your expectations lowered! But hey, it's not all bad - Halo 4's Castle Map Pack came out yesterday, as well as a host of tweaks and additions (multiteam, yay!) that make Halo 4 closer to the game it should've been 6 months ago. I might start playing again now! Lucasarts, 1982-2013 - In the last week, the gaming industry lost one of its legends, as the House of Mouse shuttered Lucasarts development in favor of potentially licensing out their lucrative stable of IPs. Yes, Lucasarts has been on rocky ground for a long time now, not having released a particularly good game in 9 years, but that doesn't make this loss any less gutting. The Force will always be with you, Lucasarts. Video Games break into the top of Classic FM's Hall of Fame for the first time - Both the Elder Scrolls series and Final Fantasy sat in the top 5 alongside Rachmaniov and Williams. Video games are art, you guys? Meet A.N.G.E.L.I.N.A, the Artificial Intelligence who makes games - Christian Donlan's fascinating piece on Imperial College's game-making program is a must read. Don't worry, Angelina... I think Theresa May's a pretty bad person too.